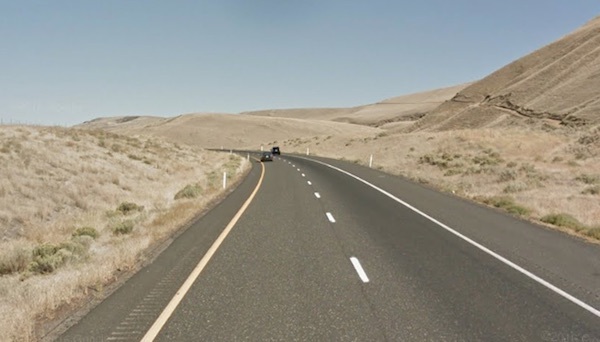 Two people were injured in a collision involving a tow truck Sunday evening on Interstate 82 near Prosser, according to the Washington State Patrol. The incident occurred at 5:46 p.m. about three miles east of Prosser. State Patrols says a 57-year-old Arizona man driving a Peterbilt tow truck was heading east on I-82. A Honda Civic was also traveling eastbound. The tow truck attempted to change lanes and struck the Civic, causing the crash. The 39-year-old Pasco man driving the Civic, along with a 9-year-old girl passenger, were injured and transported to Kadlec Medical Center in Richland. Both were wearing seat belts. When an injury victim files a personal injury claim with the insurance companies, one of the first challenges they will typically face is working to negotiate a fair settlement with the insurance companies involved. Unfortunately, the primary focus of most insurance companies is to turn a profit for wealthy shareholders and as a result, the settlement offers they make to car accident victims are often extremely low. The insurance companies also make the assumption that most car accident victims – at least those without an experienced personal injury attorney handling their case – are uneducated about the legal process and therefore unaware of their legal rights. Unfortunately, this is true in a significant percentage of cases and many victims end up agreeing to an offer that is much lower than they deserve. As a result, they leave money on the table and have to pay for their own medical bills out-of-pocket. When insurance companies becomes aware that a claimant – the person claiming damages and/or losses as a result of the negligence of another party – is represented by an attorney, insurance adjusters tend to change their approach and are usually more reasonable. This is because they know the attorney is much more knowledgeable about the personal injury legal process and the victim’s rights. Personal injury attorneys prepare all of the required components of your case so that the insurance adjusters can review the documents and make a “reasonable” offer. Even though legal representation places added pressure on the insurance adjuster to make a fair settlement offer, the adjuster’s job is still to maximize profit by paying out as little as possible. In the event that the attorney is dissatisfied with the insurance company’s offer, he may resort to filing a lawsuit against the company. There are many advantages to hiring a personal injury attorney with experience in filing lawsuits and navigating the litigation process. Many attorneys do not have any experience with litigation and therefore do not want to file a lawsuit. These attorneys often have no intention of pursuing litigation in the first place, but claimants don’t find out about that until it’s too late. As a result, the road of pursuing the claim has come to an end and the claimant is forced to take an unfair offer. Because many accident victims are uneducated about personal injury law, determining the difference between a regular attorney and an experienced trial attorney comes only as an afterthought and it can negatively impact the case. Realistically, the best way for an accident victim to be sure that they are hiring a qualified trial attorney is to ask the right questions when speaking with the attorney during the initial consultation. Have your attorney explain the law firm’s overall strategy for pursuing claims, including whether or not they are willing to file a lawsuit if the insurance company does not make a fair offer. You are well within your rights to want a complete understanding of the attorneys’ experience and approach to handling your case. At the Davis Law Group, P.S., we have a team of qualified trial attorneys with years of experience in litigation. If you were injured in an accident, contact our office to request a free consultation and see if you would financially benefit from hiring an attorney. 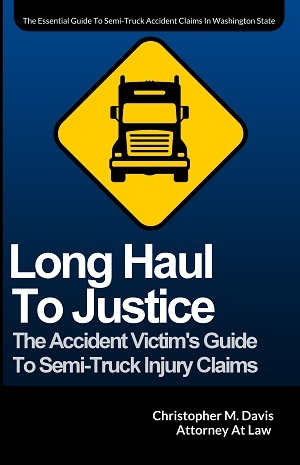 If you or a loved one has been involved in an accident involving a commercial vehicle, contact Davis Law Group today. Call (206) 727-4000.